I’m now into the regular swing of things and so far I think I’m winning. The bachelor life is not how I expected it however. Never in my wildest dreams did I think it involved getting up at 5:45 to walk the dog before work and being in bed at 10pm. I had in mind having more time not less. My fears over TV dinners have not been realised thankfully. Quite the opposite, I’ve got an interesting regime going which is paying dividends. I am driven by apps and so far I am convinced this is the future. 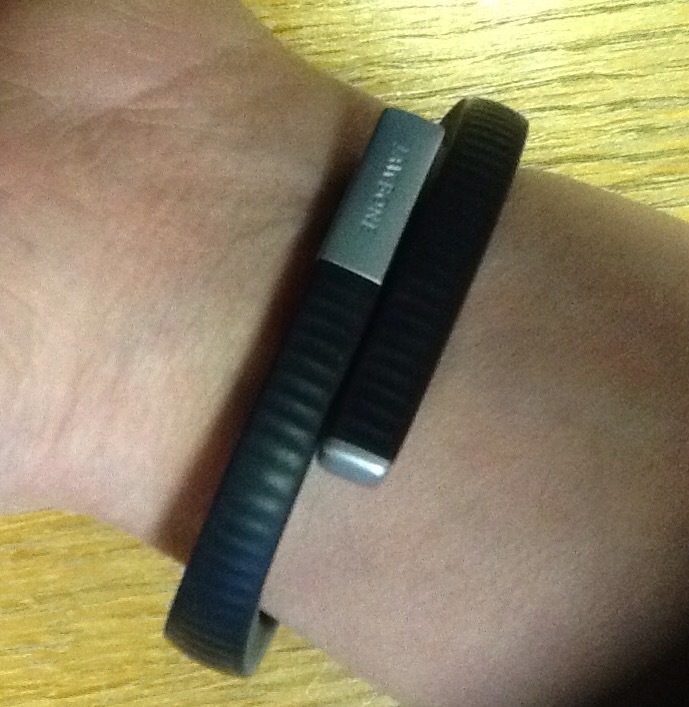 It all started with my Jawbone Up24 wristband. This is turning out to be a great little purchase. All it does is monitor steps during the daytime and movement during sleep. I say “all” but it is a little smarter than that.As well as monitoring the number of steps, it tracks the pace of the steps to distinguish exercise from an everyday stroll. At night it tracks micromovements to assess deep and light sleep. All of this feeds into an app which interprets results and coaches and cajoles you to do more. There are then some nice little features which I’m only just starting to take advantage of. One is the gentle wakeup. I set an alarm for 5:50 but the Jawbone Up app allows me to be woken up by a gentle vibration of the wristband up to twenty minutes earlier than that during a period of light sleep when I’m not getting the benefit anyway. So far this is surprisingly effective and I’ve got the benefit of a little extra time without feeling more tired. There is another alert which vibrates the wristband when you have been idle for too long. The Up app syncs with other apps really neatly which allows you to coordinate calories you eat on the debit side with exercise you take on the credit side. I’ve got the FitStar app for some really focussed progressive workouts which I can do in the time available and the MyFitnessPal to monitor what I’m eating. So I’ve now got a toolkit which I can then use well as long as I buy the right things, in the right quantities, and weigh them carefully to record the calories accurately. The scales have normally been an infrequently used tool when I am baking. Now they are permanently out on the work surface and keeping things in control. The key to all of this is motivation. I want to eat well and I can’t trust myself to do this. So far the ice cream is untouched, I’ve brought a few chocolate bars into the house and just put them away and I’m hitting my app targets. If this continues the cost of a second hand Jawbone Up and some apps will be well worth it. But then how many New Year’s resolutions and sacrifices for Lent start this way? This entry was posted in Articles and tagged bachelor, diet, fitness, Fitstar, Jawbone, Jawbone Up24, Lent, MyFitnessPal, Solitude, Up. Bookmark the permalink.